We've created a wealth of resources for you to watch, read and share. If there's something you can't find, contact us. 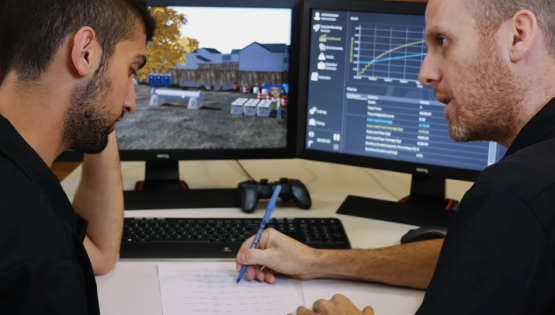 The Dozer Simulator Training Pack provides trainees with the unique tactile sensation of pushing soil and aggregate materials, promoting precision operating techniques as a result. Learn more. With CM Labs Simulations’ Signalperson Training Station, trainees learn critical worksite skills such as communication and teamwork, in a safe environment.